YouTube is a great source of various educational and entertaining content of all kinds. Inserting a YouTube video can really take your presentation to the next level by providing a new, accessible way to convey a lot of information within a short period of time. PowerPoint allows inserting a video from user computer or linking an online video, and playing it during a presentation. Online video within PowerPoint presentation has the controls for playing, pausing, stopping, volume adjustments of the site it’s uploaded on. It also fully depends on the Internet connection availability, and won’t play in case the connection is out of reach. Note that PowerPoint’s Fade, Trim, Bookmark and other playback features can only be applied to videos inserted into a presentation from the hard drive. This method is the most efficient as it doesn’t require having a stable, or any, Internet connection to playback a high quality video within your presentation. 1. Download and install 4K Video Downloader. 3. Press the Paste Url button in 4K Video Downloader application. 4. Select a quality type in the download window and press the Download button. 5. Wait until the downloading is completed. 6. Open your PowerPoint presentation and insert the file as a local video. 1. 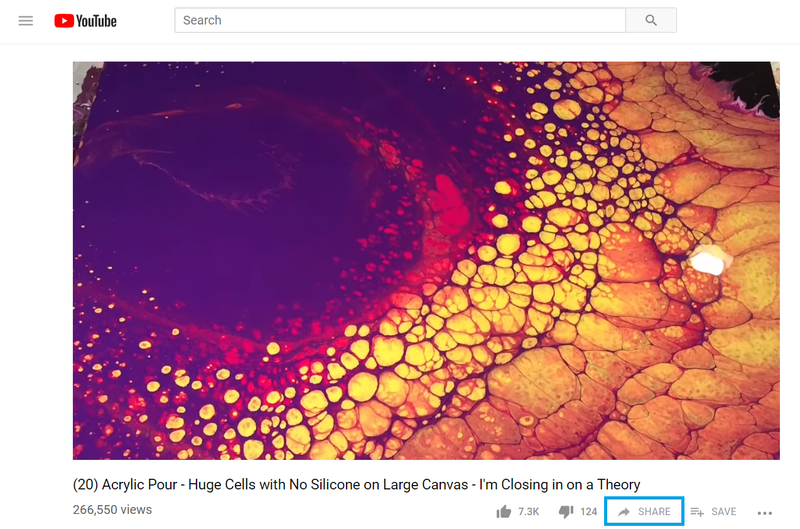 Open YouTube in your browser and find the video you’d like to embed. 2. 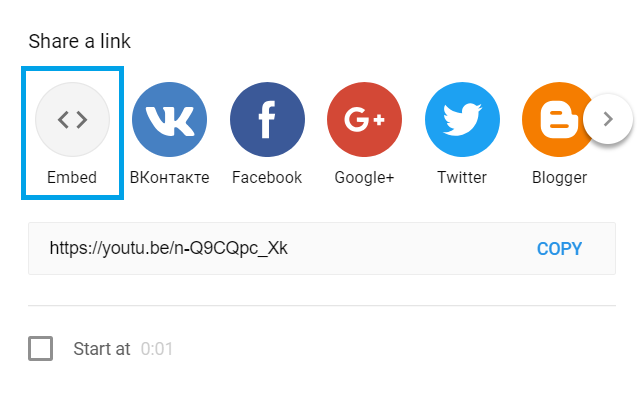 Click Share under the video. 3. 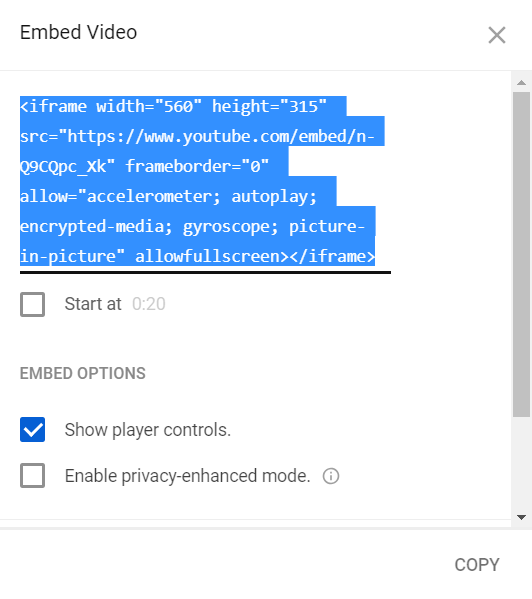 Pick the Embed sharing option. 4. Copy the HTML code of the video. 5. Open PowerPoint. On the Insert tab, click Video > Online Video the arrow. This parameter will makes the video start from, for instance, 1:30 and stop at 1:50. It also hides the automatically suggested Related videos that appears after the video ends. You can learn more about the available YouTube API parameters on the developers page.